A 56-year-old woman presented to our Emergency Department (ED) with fever, chill, and altered mentality. She had been taking medications for partial seizure for 10 years. One day before admission to the ED, fever and chill developed. Subsequently, sleeping tendency developed and altered mentality was aggravated. She had been taking medications for partial seizure for 10 years. What could be a possible pathogen for this patient who presented with community-acquired meningitis and endocarditis? - E. rhusiopathiae is a straight or slightly curved aerobic or facultatively anaerobic bacillary organism. 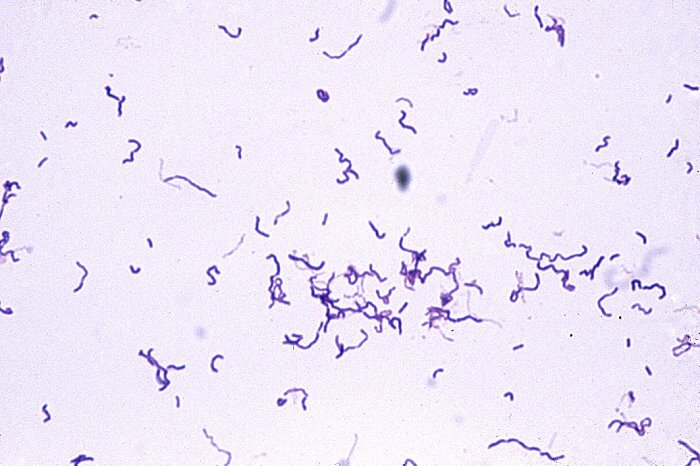 - It is gram-positive but may appear gram-negative because it decolorizes readily. - Systemic infection with E. rhusiopathiae is unusual and most cases were complicated by endocarditis. - Although this organism has caused prosthetic valve endocarditis, most reported cases of endocarditis have involved native valves. - There was a history of an antecedent or concurrent skin lesion of erysipeloid in 36% of patients. - Complications of Erysipelothrix endocarditis include congestive heart failure, myocardial abscess, aortic valve perforation, meningitis, brain infarctions, glomerulonephritis, septic arthritis, and osteomyelitis. - More than one third of the patients require valve replacement. - Bacteremia without endocarditis has been reported with increasing frequency. - Most strains are highly susceptible to penicillins, cephalosporins, clindamycin, imipenem, and ciprofloxacin. - Penicillin G is the drug of choice for serious infection. Ampicillin and ceftriaxone have also been used successfully. - Most strains are resistant to vancomycin, sulfonamide, trimethoprim-sulfamethoxazole, teicoplanin, aminoglycoside.